For all its streamlined operations, the airport is undoubtedly the aspect of all long-distance vacations that travelers look forward to the least. 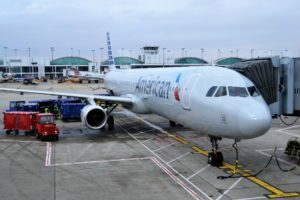 From finding a way to the airport to parking, security screenings, waiting inside the terminal and the strain of flying, it’s easy to see why so many of us have little interest in the inevitable trip to the tarmac. That’ why travel expert Andrew Berke has some insider information designed to make your flight a little bit more enjoyable. Mr. Berke, whose travel advice has helped untold numbers of trekkers save time, money and patience, knows that airports serve an irreplaceable role in travel so it’s advisable to make the best of your upcoming visit. Arrival and Departure: There are a few ways to make it to the airport: Asking for a ride, using a ride-sharing service, driving yourself and paying for parking or taking public transportation. Here’s the kicker: Andrew Berke says your mode of travel should factor for how you expect to feel upon your return. If you expect that you’ll be able to drive home after a long flight, then driving and paying for long-term parking at a lot on or near the airport is the way to go. If you aren’t in a rush after your return flight, public transportation offers the most budget-friendly way to get close to home. Baggage Check: Going through the Transportation Security Administration (TSA) screening process isn’t up for a vote. Since you can already expect that your baggage will be scanned or opened and examined by security officers, it’s best to know what to leave home. By visiting the TSA’s website ahead of time, you can determine protocol for questionable items. For example, the TSA’s rules on “sharp objects” dictate that a box cutter can be stowed in checked baggage but is not allowed as part of your carry-on luggage. Know before you go, says Andrew Berke, and you won’t have to bid farewell as prohibited items are tossed in the trash during screening. Eye Candy: Airport terminals are full of overprices shopping and dining options. Even if some of these stores are duty-free and offer a way to waste hours before your flight, there’s no reason why you can’t bring food and reading materials from home while you wait for your flight time. Vacations are expensive enough, says Andrew Berke, so skipping overpriced tourist products and meals will give you more to spend at your destination. Posted on March 5, 2018 by ms_admin and tagged andrew berke.